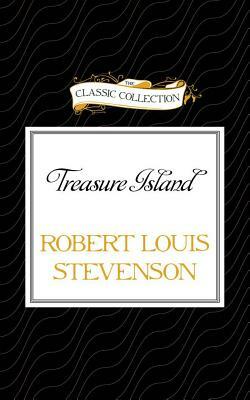 The narrator of this timeless adventure story is the lad, Jim Hawkins, whose mother keeps the Admiral Benbow, an inn on the west coast of England in the 18th century. An old buccaneer takes up residence at the inn. He has in his sea chest a map to the hiding place of Captain Flint's treasure. A gang of cutthroats are determined to get his treasure map, and - led by the sinister, blind pirate, Pew - descend on the inn. But Jim Hawkins outwits them, grabs the map, and delivers it to Squire Trelawney. The Squire and his friend Dr. Livessy set off for Treasure Island in the schooner Hispaniola, taking Jim with them. Some of the crew are the squire's faithful servants, but the majority are buccaneers recruited by the one-legged pirate, Long John Silver. Jim discovers the pirates' plan to seize the ship and kill the squire's party, but warns them in time. After a series of thrilling fights and adventures, the pirates are finally defeated, and the treasure secured with the help of marooned pirate, Ben Gunn.